The Senior Lecturer in the Department of Mechanical Engineering & Aeronautics has walked away with the prize in the 2019 British Photography Awards. 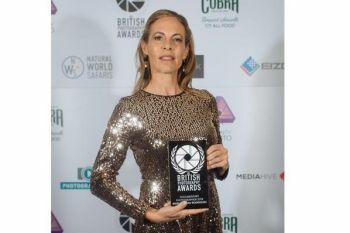 Senior Lecturer in Aeronautical Engineering in the School of Mathematics, Computer Science & Engineering, Dr Maria Tomas-Rodriguez, has won the Best Documentary Photography Award at the prestigious 2019 British Photography Awards held on 28th January. The winning entry, Tradition, was captured on her Canon D70 camera. 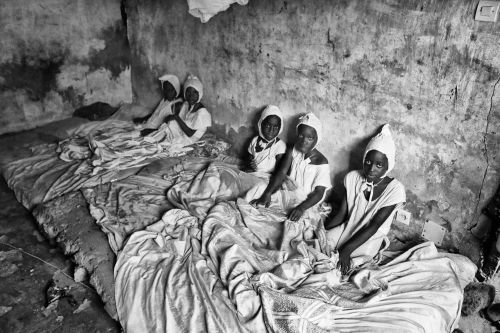 The photo documents the facial expressions of young boys living in the Joal-Fadiouth Commune in Senegal, West Africa, during the seclusion period of their circumcision ritual. Dr Tomas-Rodriguez is “very pleased at winning such a highly prestigious award”. The coveted and not-for-profit British Photography Awards recognises Britain’s rich heritage in image-making dating back 180 years and strives to celebrate British artistic innovation on the global stage. The competition donates funds to sixteen UK charities, including Shelter, Help for Heroes, The Wildlife Trusts and Médecins Sans Frontières (MSF). Over 3,700 British photographers submitted their work to a team of expert judges. Sixteen honours were awarded across a range of categories including: Best Portrait Photographer, Best Drone Photographer, Best Documentary Photographer and Best Selfie Photographer. Dr Tomas-Rodriguez - a member of Madrid-based charity Asociacion Baolar working in Senegal - says her photography is centred around “people, costumes, traditions, infrastructure and daily life”. She has travelled extensively around Senegal, taking photographs in Ziguinchor, Tambacounda, Kedogou and the Bassari country, Dakar, Thies, Ntiago and Touba. To view more of her work, please visit this weblink.